Opened in 1893 at the top of the Spanish Step, Hotel Hassler Roma is owned by Roberto E. Wirth, the fifth generation of a famous Swiss family of hoteliers. 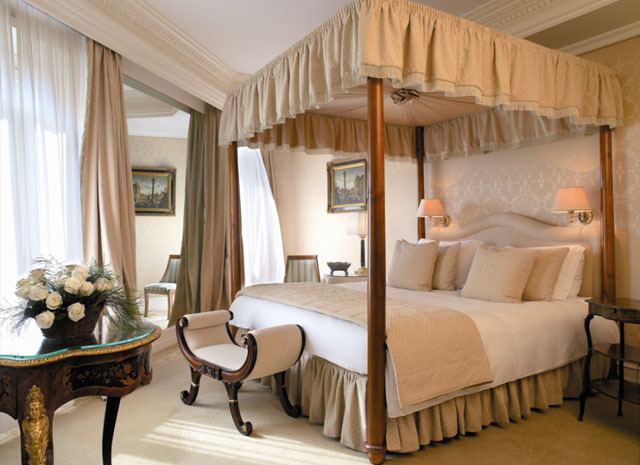 Considered Rome’s most distinguished and celebrated hotel, it is the Roman home-from-home of celebrities and royalty. The rooms are gorgeous, and the courtyard garden has the tranquility of a countryside retreat in the heart of Rome. It was in the 1950’s that Hotel Hassler Roma’s rooftop restaurant set a new standard for travelers’ dining; the rooftop restaurant was reborn in 2006 under the name, “Imàgo.” Hotel Hassler Roma is a member of Leading Hotels of the World. ©2019 Geoffrey Weill Associates, Inc.